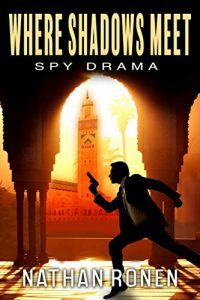 In Where Shadows Meet, Arik Bar Nathan has worked as the head of the Israeli National Security Council under the previous Prime Minister, but after the sudden death of the latter, a new Prime Minister is elected who demands Arik helps him craft a better public and political image. Arik refuses to take part in any unsavory activities, and is promptly dismissed. However, Arik is soon asked for assistance by the Israeli Intelligence Agency regarding Al-Qaeda operatives planning to assassinate the Kin of Morrocco. Arik is the only person who can put an end to this evil scheme, but he will have to risk his own life to do so. Action, espionage, this book feels like watching a movie, and a pretty good one at that. The dialogue is fast, the scenes are action-packed, the pacing is tight, and overall, this is an excellent read!